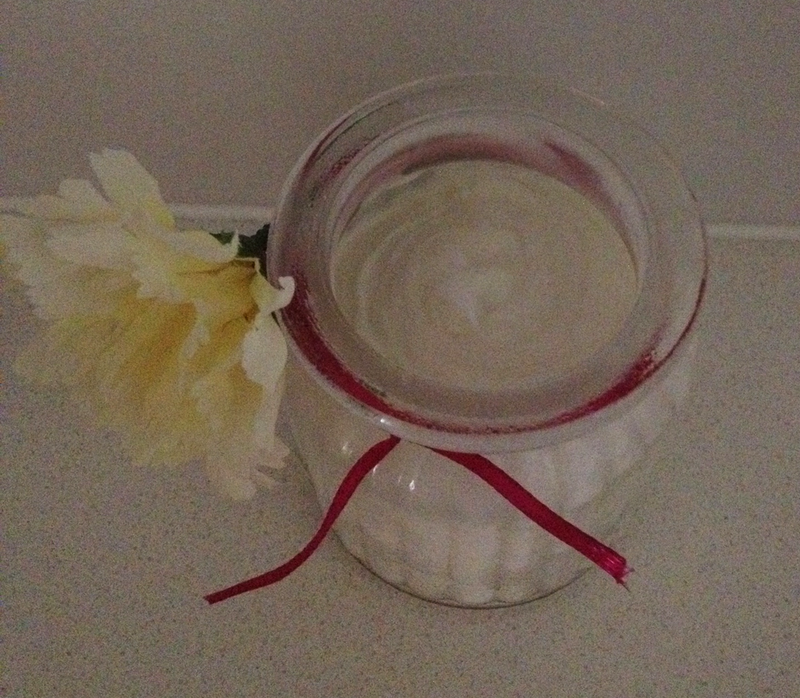 This body butter is devine, it looks & smells good enough to eat & is so simple to make!! All wrapped up in pretty jars it will make the most gorgeous Christmas Gifts. Rather than purchasing gifts for our loved ones this year Miss Two & I have decided to hand make treats for all our friends & family, so there will be a few jars of this under our tree. The great thing about this recipe is that you can customise it to suit the ingredients you have & the people you are making it for. Make it with just cocoa butter & peppermint essential oil for a Mocha whip, make it with just shea butter & lavender for families with young children. I used the combination of shea & cocoa butter because I love the smell & moisturising properties of the cocoa butter & the soothing, healing properties of the shea butter. You can substitute the apricot oil for what ever you have on hand, I used apricot oil because the butters & coconut oil are quite heavy & create a layer on the skin while apricot oil soaks in making the butter a little less greasy. But be warned this is decadent stuff, it is light & fluffy but very moisturising, its great for dry heels, knees & sand papery elbows!! Great for a post shaving, waxing cream – possibly not so good as a face moisturiser!! So get in your kitchen & have some fun!! Place coconut oil, shea butter & cocoa butter into a double boiler to melt (I just use a mason jar in a saucepan of boiling water). Once the butters are melted, take your double boiler (or jar) off the heat & let it cool to room temperature & add in the apricot kernel oil, Vitamin E oil & essential oils. Stir in well & then place to set a little in the fridge for an hour, let it set but not till its hard like a lotion bar. Then its time to whip it!! Either using a cake mixer or stick blender (I used the whisk attachment on my stick blender & it worked a treat). 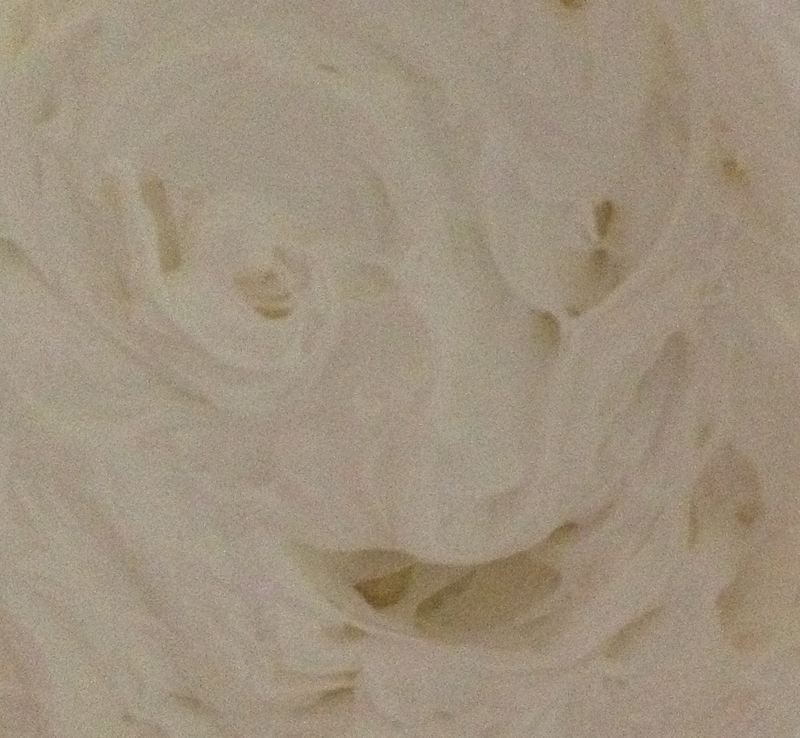 Whip it for 5 or so minutes until you make what looks like yummy whipped cream that smells good enough to eat. BEWARE your whip does not like heat, it should keep well in most bathroom cupboards but if its left in the sun – it will melt & loose its whipped texture!! If this happens refridgerate it till firm & re-whip it & it will be as good as new. As Christmas fast approaches we are starting the fun of trialing different natural treats that we can make for all of our friends & family this festive season. The bars are solid at room temperature & when rubbed onto your skin a tiny amount melts leaving a thin veil of moisturising butter & oil on your skin. 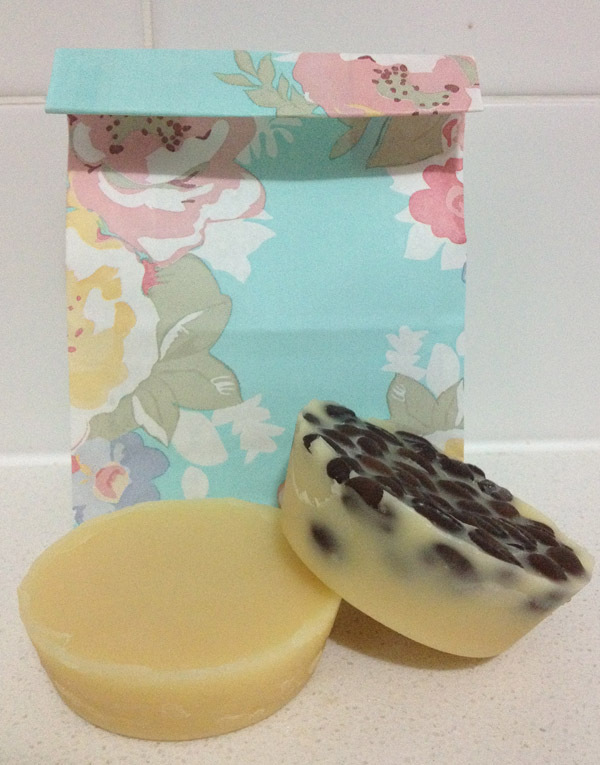 They smell devine & feel silky smooth to touch – they are a real treat for dry skin. Using our basic Lotion Bar recipe you can tailor make a bar for your loved ones by using different oils, butters & essential oils. Although they are a slightly feminine gift you can make a more masculine versionswith essential oils of cedarwood & tea tree oil to create a manly smelling lotion bar that would have antiseptic qualities. 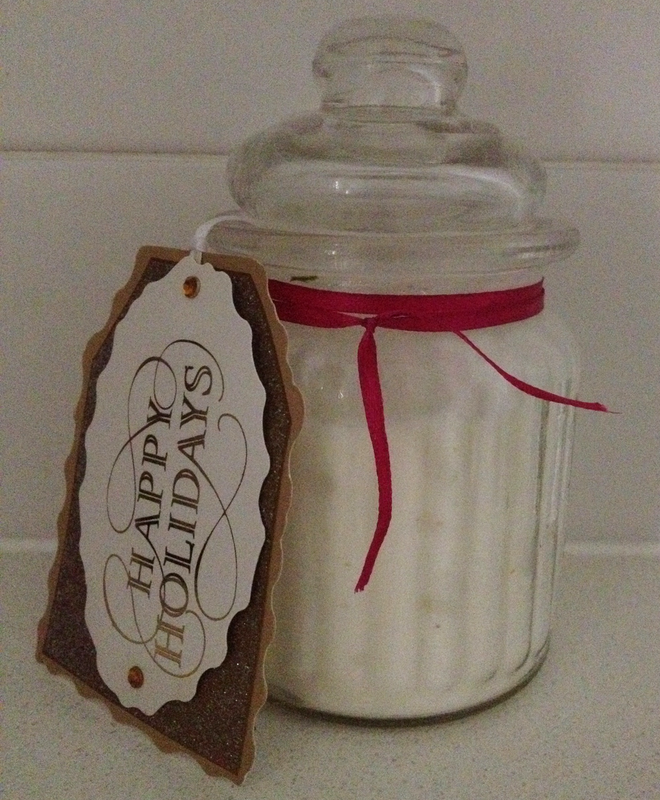 Place wax, shea butter & coconut oil in a glass or ceramic jar or container – set this in a pot of simmering water to melt. Once they have all melted together take your mix out of the hot water & let cool slightly & add your honey & essential oils, stirring well. Pour into your moulds & let cool for 24 hours to set well. I find silicon muffin moulds work really well for this as the bars just pop right out. 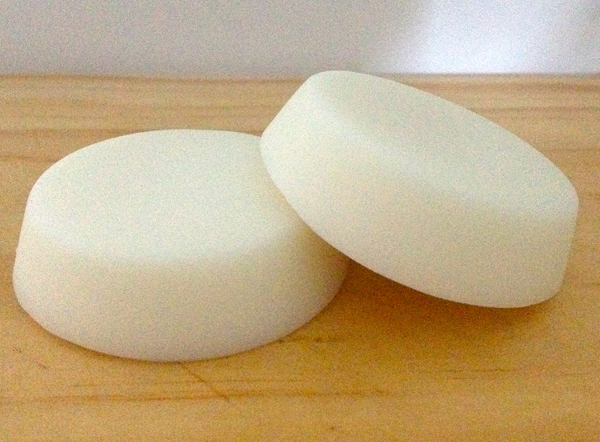 If you have trouble removing your lotion bars from the moulds set them in the freezer for a few hours to set hard & they should come out much easier. The recipe should make 4 muffin size lotion bars. 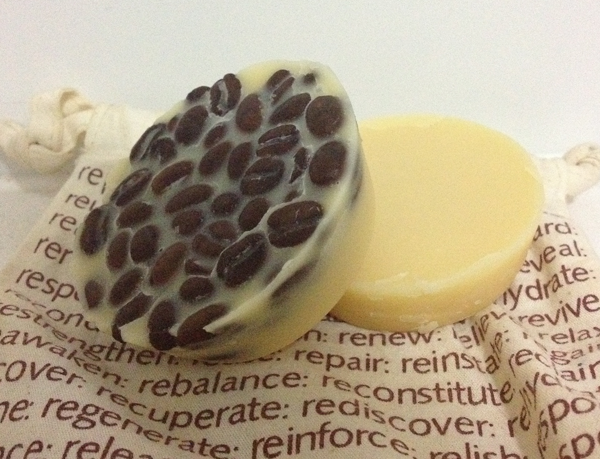 Make as with the Sweet Orange lotion bars, except after you have poured your mixture into the moulds top with 1 tablespoon of coffee beans for each mould. This recipe is so easy, its almost embarrassing to post. But it works so well that I just have to post it!! A few ingredients from your pantry is all you will need to make this Super easy Styling Gel. It really makes me wonder why I ever brought styling gel?? 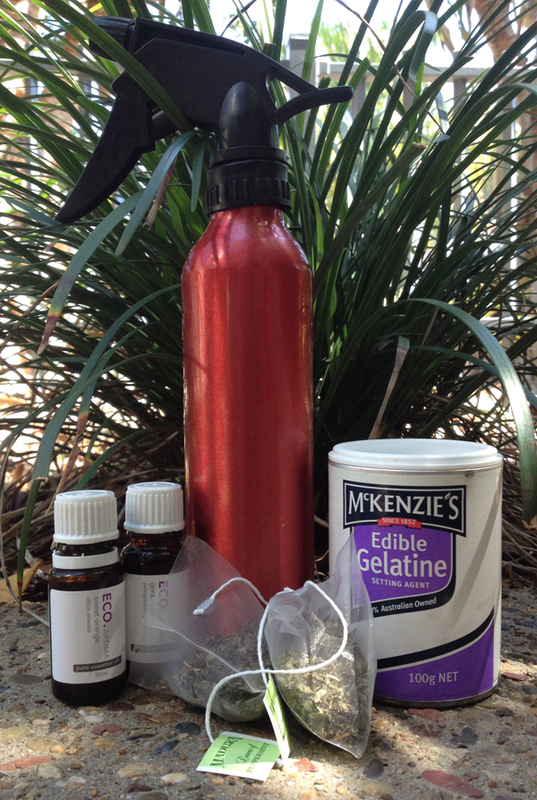 All you need is gelatine, peppermint tea bags, a spray bottle & your choice of essential oils, that is it!!! The only draw back is that it does need to be kept in the fridge or it will go off, even in the fridge it has a limited shelf life of several weeks. To get around this I make small batches often, it only takes minutes to whip up a new batch so its not that much effort! You can make your Styling Gel with water if you like, but I like making mine with peppermint tea as it is purported to help stimulate the hair follicles & promote hair growth. 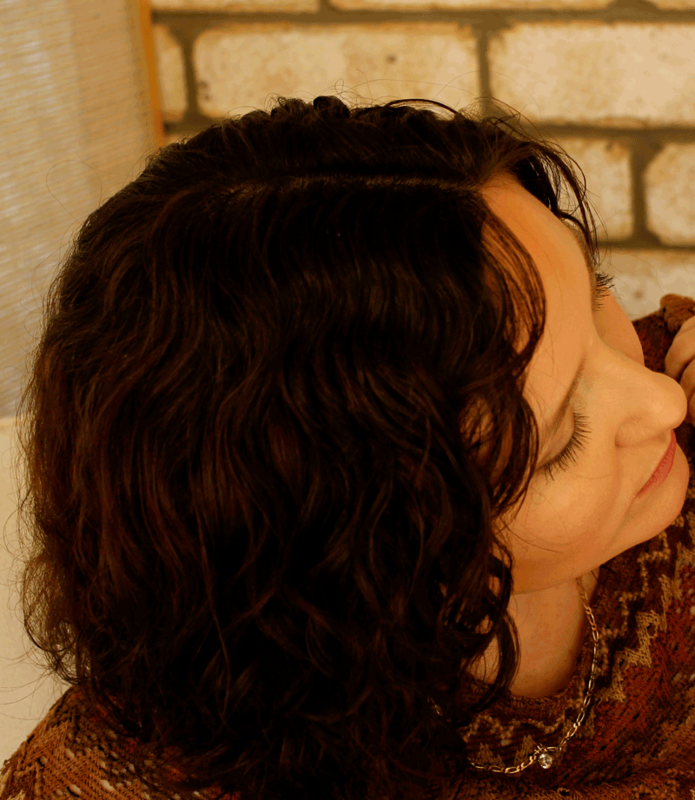 I use orange essential oil as it is also great for promoting hair growth. But mainly because I am in love with the combination of peppermint & orange, it just smells so fresh, zesty & clean. Place peppermint tea bags in the hot water to steep for 5 – 10 minutes, remove the tea bags & add in the gelatine & stir to dissolve (you can do it in a pot on the stove if your peppermint tea is too cool). Once the gelatine has melted place your mix in the fridge & let it set for several hours. Once it is completely cool & set add your essential oils & stir through. Use a funnel to pour it into your spray bottle. Keep your gel in the fridge, to stop it going off. This Styling Gel works equally well on dry or wet hair, I prefer to style my hair wet, as a comb & dry curls always results in a very attractive afro. You can see the patch at the back that got no Styling Gel & is still frizzy! Rosemary tea is great for dark hair & is the best tonic for dry hair, it will keep hair glossy. Its well known for its antioxidant & growth stimulant properties. Lavender is great for conditioning all hair types. Horsetail tea is high in minerals & strengthens hair while adding a healthy shine. So get into that pantry of yours & start making your own chemical free styling products for cents. Make your own natural deodorant – that works! Its a fact of life here in Sunny Queensland, it is impossible not to sweat. Deodorant becomes a necessary evil, its either deodorant or your very own personal space bubble. Deodorant seems to be the more social of the two choices. But I am sick of rubbing toxic deodorant full of aluminium, formaldehyde & parabens into my pits each morning – it may ward off odours and keep my friends close but, what is it doing to my health?? Aluminum can cause kidney problems, formaldehyde is a known carcinogen and parabens can cause problems for our endocrine system. So instead of rubbing this toxic cocktail into my lymph nodes, I decided to make a safe deodorant that contains no nasties, is easy to use & WORKS! One application in the morning keeps me fresh all day. The hard bars are easy to apply & easy to store. No white marks or stains on clothes. But the biggest thing is NO SMELL! Place your coconut oil & beeswax in a glass jar and put the jar into a saucepan of simmering water. Stir occasionally until all of your beeswax melts. Take your jar out of the saucepan of water & let cool slightly. When the mixture has cooled to approximately 40 degrees (when it feels warm but not too hot on your fingers) add all of the other ingredients & stir well to combine. Pour your mix into muffin, soap or chocolate moulds & leave to harden. This recipe makes six bars, so there will be enough to share. It has a gorgeous citrus botanical scent with just a hint of coconut. If you want to make a more unisex variation add some tea tree oil in place of the Lavender & you will get a citrus wood scent that your man will be happy to wear. Keep unused bars in a tin or wrapped in wax paper in a cool dark place till needed. To use simply rub your yummy scented deodorant bar under your arms & leave to dry for a few minutes before putting on your clothing – that way you can ensure you won’t get any white marks on your clothing. If your in a very hot climate keep your bars in a soap tin & scoop out a small amount with your fingers & rub it where needed! We are slaves to hair products in this household. Each morning we slather on lotions & potions that claim to stop frizz, moisturise & repair damage, but all they seem to do, is cost a small fortune & have a list of ingredients that require a chemistry degree to decipher – not a good sign as far as this Mama who is trying to go all natural is concerned. So in the spirit of going natural we have ditched our chemical concoctions & their claims of beauty & glamour in favour of making our own simple natural leave in hair conditioner. You can fragrance this leave in conditioner with any essential oils you have on hand. I use citrus scents as I like fresh smells & “little Miss” has a penchant for putting her dinner bowl on her head (still!) 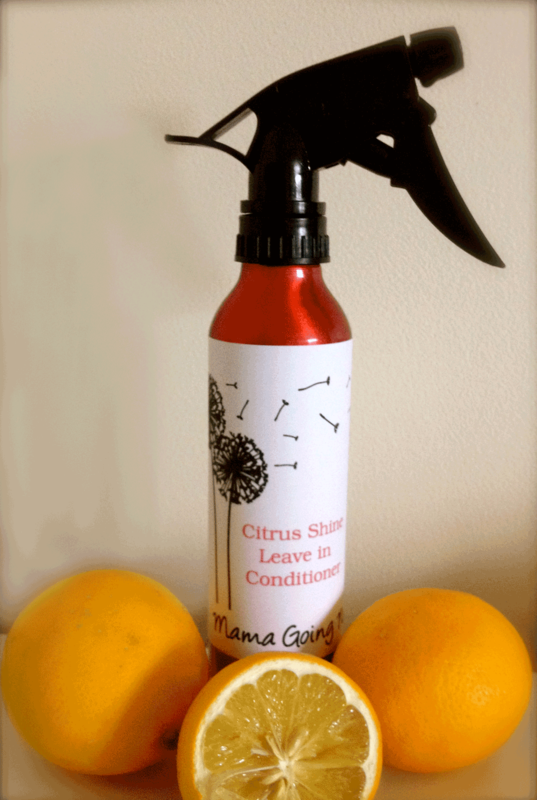 so the citrus scents help to hide the multitude of sins hiding in her locks until bath time. But any combination of essential oils would work – traditionally chammomile is recommended for blondes & rosemary for brunettes. I use water soluble almond oil as it disperses much more readily in the water creating a more even coverage in the conditioner. You can use pure cold pressed almond oil or any lighter oil you have on hand but you will have to be sure to vigorously shake the leave in conditioner before you use it to ensure you don’t end up with just oil at the bottom of the spray bottle. Because this is a natural oil in water emulsion without any chemical emulsifiers or preservatives (yuk!) the product does need a little shake before use & should be made in small batches & used up quickly. We have used ours for over a month so far & not noticed any spoilage. With curly hair I prefer to spray it all over damp hair & then brush it through, with “little Miss’s” hair I spray it straight on dry hair & then comb it through. Because the almond oil is water soluble the conditioner doesn’t build up in your hair & washes out easily. 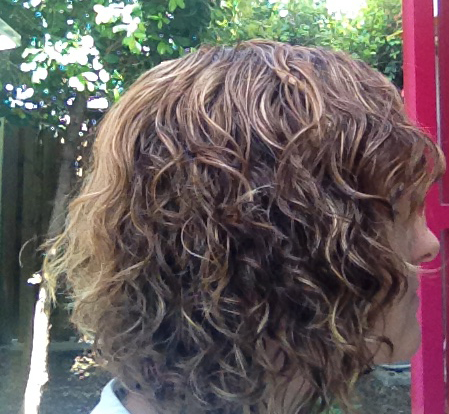 Our household is loving this simple leave in conditioner & we hope you love it as much as we do.